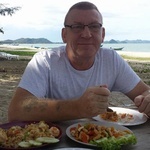 I am a specialist web developer with 15+ years experience, from the UK and currently working on some projects in Thailand, helping my clients to create, expand or enhance their...Read moreI am a specialist web developer with 15+ years experience, from the UK and currently working on some projects in Thailand, helping my clients to create, expand or enhance their online presence with an aim to giving them a competitive advantage. Having a wide range of technical skills and project management experience I am able to advise on the best solution to your requirements as well as understanding the critical time and budget constraints. Also working in online and dedicated console media for clients such as Mattel, Hasbro, Lego and BBC. Keith is fantastic at his work, he knows everything about php. He's very approachable and easy to contact, I'll be using him again for more work on our site! Project on track, Keith well manages his involvement with a wider team and keeps us up to date with progress. Top work, Charlie is loving your work and the video is a fantastic way of explaining the changes and progress. Keith is a very experienced programmer and understands clients requirements. He will be used in the near future for additions for work he has already produced. As a added sense of security, Keith produces videos explanations of work carried out. Keith was a great find. He demonstrated an understanding of our requirements very quickly, provided the kind of input, suggestions and improvements we needed, and delivered on time, going above and beyond to ensure we were happy with what we got. We will be working with him again in the future. Keith was brilliant in all aspects of getting the job done from start to finish, I can’t thank him enough and would recommend him to anyone. Thanks again Keith, your a star. Engaging Keith was one of the best things we did. He was a pleasure to work with, no endless phone calls needed, always contactable on Skype. Does things when he says he will do them, and to quality. Great value for money. Certainly recommend him. Keith was a pleasure to work with. Got the job done during the night as I slept and woke up to my new site!